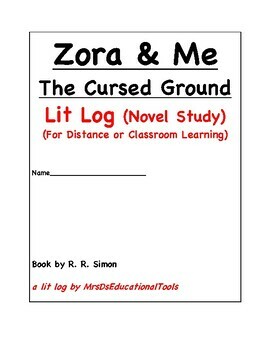 This is a lit log by MrsDsEducationalTools for Zora & Me The Cursed Ground a historical fiction, based on the life of Zora Neale Hurston by T. R. Simon. 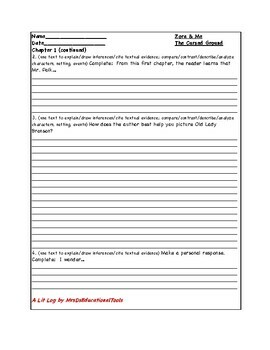 The book, which takes place alternately in 1903 and 1855, will help readers learn about and discuss the history of slavery and Jim Crow and their continuing effects on our country. 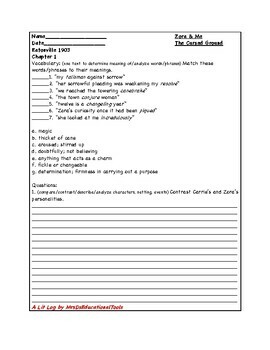 I hope this lit log is helpful and promotes open discussions.